Visiting me today in My Writing Corner is Veronica Lynch, author of the new Candy Hearts book, For Keeps. Her real life story appealed to me because I was another of those women who felt I couldn't become what I really wanted to be back in the 60's. In my case it was a sportswriter and I ended up a journalist. In her case... well, sometimes your real life becomes great fodder for your writing life. 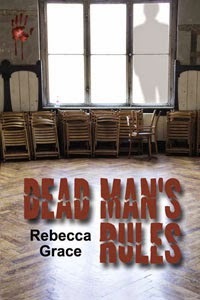 She says her experiences as a forensic nurse examiner, victim advocate, malpractice insurance investigator and nurse-paralegal are great for background in her award winnings novels and novellas. 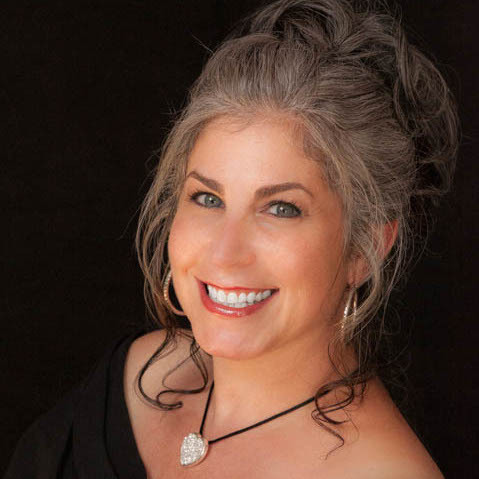 For setting, she has chosen her favorite places on earth: the Catskill and Adirondack Mountains, as well as the historic Thousand Islands regions of Upstate and Northern New York State. I wanted to be a doctor but my mother told me [this was the late 50's and early 60's] becoming a doctor wasn't something women did. I started writing in nursing school and never stopped. As a nurse in the Operating Room right out of training I learned real fast that women indeed become physicians and were successful at it. It was too late for me by then. Tell us about your new Candy Hearts book. 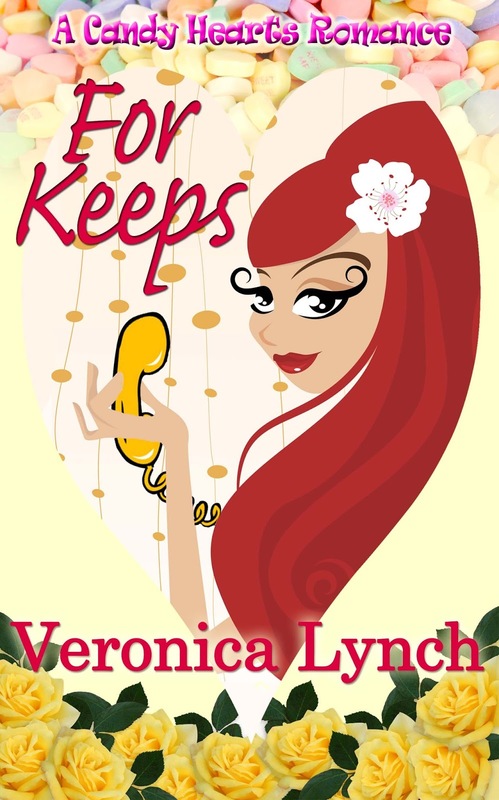 As a Vintage Rose story, For Keeps takes place in the late 1980's when victim advocacy came into its prime. While advocates and cops 'hooking up' did happen, it was viewed by both sides of the issue as going over to the dark side. I wanted to show the conflict a professional woman might face with the idea of spending the rest of her life with a man who completes her versus remaining in an thankless occupation which often brings heartache and burnout. What gave you the idea for the story? Personal experience. There comes a time in the story when the heroine responds to the hotline only to find the hero on the other end. The essence of that conversation [“if I was any better, I'd scare myself”] actually happened. I laughed the rest of the day and still smile when I recall that man's voice. It was a gift in the middle of a very stressful day. I'm sure that poor cop thought I was a raving lunatic. How do you normally come up with your characters? From news accounts, either print or electronic. I often receive a newsletter from one of the charities I support, such as Doctors Without Borders, and think, I'm going to do a story about a woman physician with PTSD. What did you like best about your current hero and heroine in your Candy Hearts book? Keenan Rossi is patterned after a cop I once worked with. He had a great voice, the warmest hands in town and listened to my opinions. I miss him terribly. I like Meg Muldoon because she faced down detractors with grace and dignity. I wish I'd had half her courage back in the day. Meghan Muldoon is at a crossroads: struggling to balance the demands of a high stress vocation as an advocate for victims of violence with her feelings for Keenan Rossi, a man who wants to make their relationship permanent. On Valentine's Day, a series of routine crises force Meg to question staying in a profession which fulfills her both professionally and spiritually—or devoting the rest of her life to the one person who completes her. Your book sounds great! Good luck, and thanks for being my guest today today. Any questions or comments for Veronica? 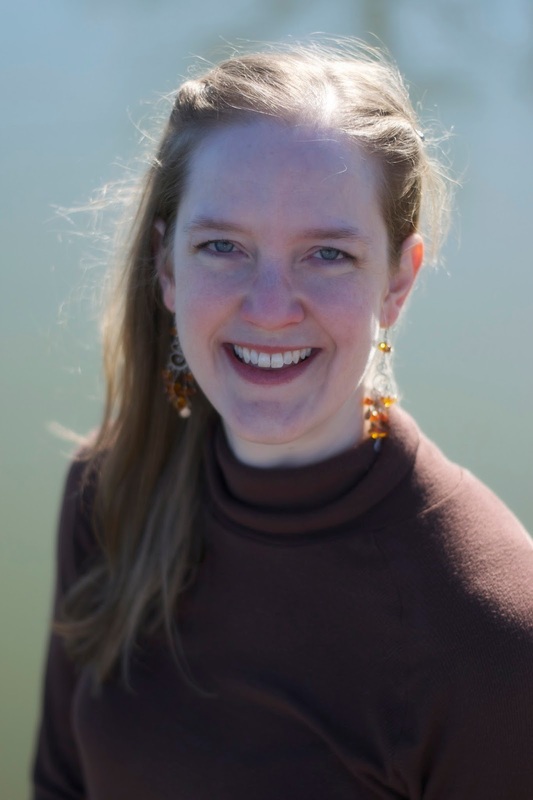 My guest today in My Writing Corner is Karilyn Bentley. When did you realize you were meant to be a writer? Probably when I was a child. When my parents punished me by sending me to my room, I would write lengthy pages of why they were wrong and pin it on my door for them to read. I also wrote a lot of stories vaguely similar to Nancy Drew (which was my favorite series when I was a kid!). And there was that time my English teacher said my story was too creative for the assignment, perhaps I wanted to take her creative writing class? Tell us a little about your publishing journey and how you got your first book published. My critique partner saw an ad from The Wild Rose Press asking for stories for their Got Wolf anthology. I submitted and was one of the top six winners. Werewolves in London was published in the anthology and my writing career was born! I was positive my editor would want my fantasy romance novel I had been trying to shop around so I sent it off. She politely declined, but did tell me what was wrong with it. Like, almost everything about it. Lesson learned, read the book you wrote several years ago before sending it off. No wonder she didn't want it! After two more complete revisions, Magical Lover was born. And, as they say, the rest is history. 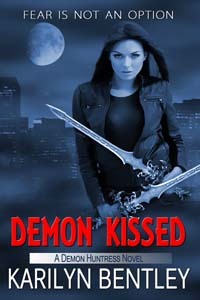 What is the story “behind” your latest book, Demon Kissed? Where did you get the idea for it? My urban fantasy series follows an arc of Gin's adventures as she becomes a demon huntress. This is the second book in the series. The idea came to me after reading an article. I thought it would make a good story but with the added touch of demons and a troubled protagonist who has to hunt them. They aren't perfect. And Gin's sassy. I like a little bit of sass in my heroines. I'm a pantser, with some modifications. Which means, I have to have a beginning and an end as well as the turning point, or black moment. Other than that, I have no idea where the story will take me until I start writing it. What are you working on now? The third book in the Demon Huntress series, tentatively named, Demon Cursed. Thanks, Karilyn for being my guest today. Any questions or comments? As we count down to Valentine's Day by reading wonderful romances, we're turning to the darker side of the genre with a ghostly tale. 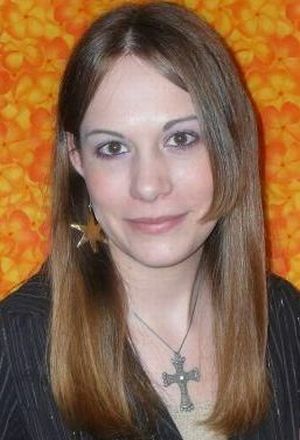 Visiting My Writing Corner today is Chrys Fey, a Florida writer who specializes in romantic suspense. How did you get started in publishing? I started small with publishing a couple of poems and short stories online. It really wasn’t my publishing dream, and I wasn’t having any luck getting an agent, so I wrote Hurricane Crimes, a romantic-suspense story set in Florida. I knew I had to break into publishing somehow and decided Hurricane Crimes could be my ticket in. I sent it off to The Wild Rose Press and have been publishing with them for four years now. Yes! I wrote my first story at the age of five. My mom was always writing children stories for me and my siblings. She was my inspiration to pick up a pen. 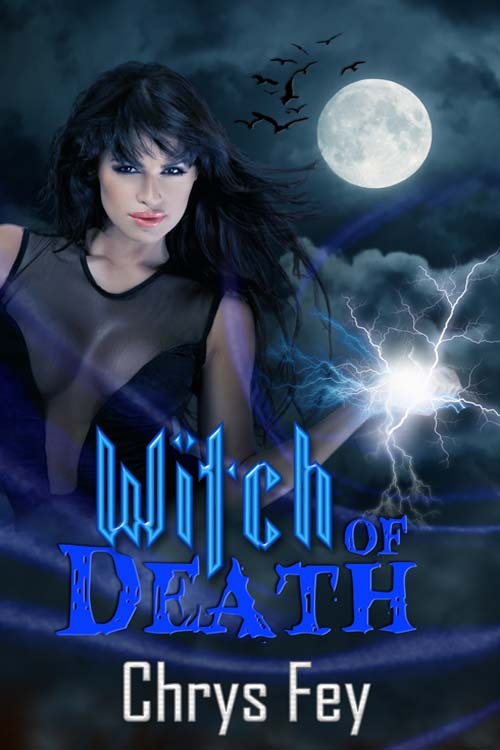 Your latest story is Witch of Death, a fantasy suspense short story. What do you like best about your heroine and hero? What is your writing process? Are you one of those people who outlined or do you just start writing? I have to outline. If I didn’t, my stories wouldn’t make one bit of sense. Sometimes I do start writing a story with just the idea for the beginning and end. I prefer knowing how I’m going to get from point A to point B, though. In my outlines, I even include whole conversations! I always say to never give up, no matter how hard it becomes. My other piece of advice, find a good beta reader! Beta readers are critical to help you spot plot holes and character problems in your story. I am close, so close to publishing the sequel to Hurricane Crimes, which I mentioned above. This will be my first full-length novel. Soon I’ll be editing book 3...and at the same time starting book 4! Good luck, Chrys, and how may readers get in touch with you? And here are the links for her new short story. With Valentine's Day coming up next week, it is definitely a great time to focus on reading a good romance novel. The new Candy Hearts series from The Wild Rose Press is offering some wonderful selections for readers who love romance. Today's guest author is Debra Druzy, who says she is a married, stay-at-home mom who balances her writing career with running errands and doing household chores. DARE ME is a sweet ’n spicy reunion romance that takes place on Valentine’s Day at a promotional wedding event on Long Island, in the fictitious town of Scenic View. Adam is the wedding photographer and Misty is a bridal stylist. As much as Misty tries to keep things on a professional level, she can’t help but fall for Adam all over again. heart saying that popped in my head was DARE ME, so I crafted the story around that title and the publisher’s specs. I’ve been a photographer’s assistant so I know what it’s like to shoot a wedding and thought it would be fun to incorporate an exaggerated version of that experience into the mix. I like Misty’s strong work ethic. She’s a diligent professional with a major stake in her family’s bridal shoppe, so she never mixes business with pleasure—that is, until she reunites with Adam, her kindergarten crush. Adam’s every girls’ dreamboat—charismatic, creative, sensitive. He recently returned to Scenic View, hoping to reclaim his roots and finally settle down. But he didn’t come back to his hometown just to open a photography studio; he’s looking for Misty, hoping she’s still single after all these years. That sounds like fun! What is your writing process – outlining or just writing? Outline, definitely. But that doesn’t mean the story sticks to the plan. There’s enough of an outline for me to know the direction of the story, with some room for the characters to improvise. Write the story of your heart. Don’t worry about what anyone else is writing. Create something you want to read because you’ll be rereading it plenty of times during the writing and revising process, you don’t want to get bored with it. I’m currently revising a story that follows my first book SLEEPING WITH SANTA, with some spin-off Scenic View characters. And I’m making notes for a full-length romance between Adam and Misty that develops out of DARE ME. 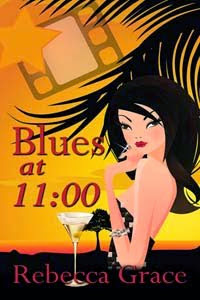 Visit me on the web at http://www.debradruzy.com/. You can join my newsletter, send me an email, and find me all over social media. I’d love to hear from you. Thanks, Debra, for being my guest today. Comments or questions for Debra?